I did the Fisherman’s Rib (pg 44) for a different hat, but changed my mind. It kicked around on the needles for a week or so until I decided to do this. The main stitch is Broken Plaid Pattern, pg 62. The rib had 112 stitches in it and it is REALLY loose, but 112 (8 x 14) worked beautifully for the decreasing at the top. If I were to do it again, the ribbing would have 100 stitches and then I would increase in the first pattern row to 112. I am back on the i-cord roses from the second post on this blog with a vengeance. Click on the link for instructions. 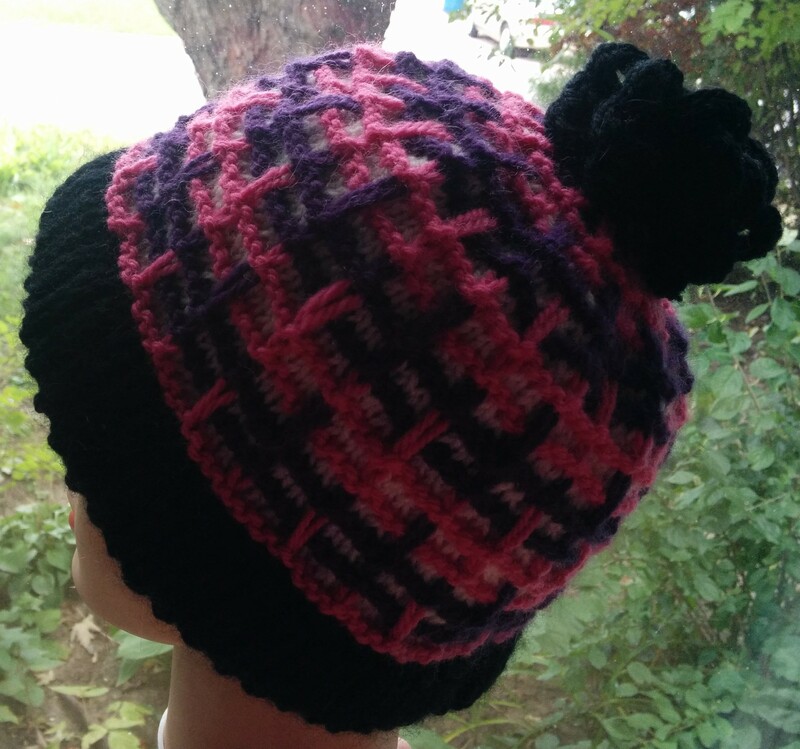 This entry was posted in Barbara Walker and tagged A Treasury of Knitting Patterns, Barbara Walker, Patons Classic Wool on October 13, 2015 by gillianknitter.